Try Mardi Gras style beads for your wedding, reception, or bachelorette party! 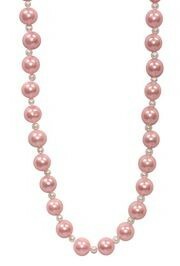 Try Mardi Gras style beads for your wedding, reception, or bachelorette party! 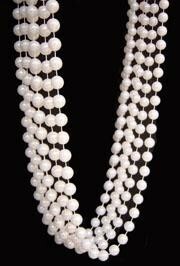 These Pearl white beads and Pearl Necklaces can be worn or used for decorations. 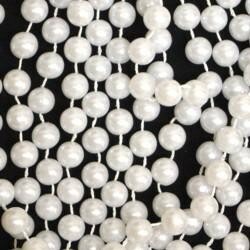 White Pearl Beads are 33 inches in length and are great for weddings. 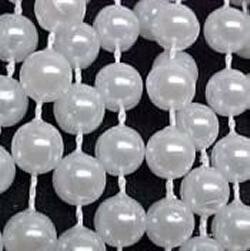 You will find these in our wedding beads, Christmas beads, and special occasion beads collections. 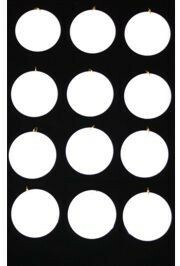 These are commonly bought in bulk by schools, colleges, companies, business, and for Mardi Gras parades. 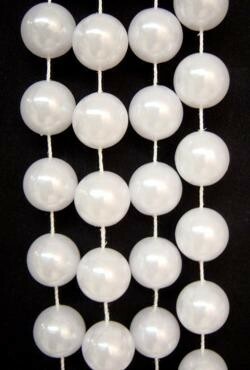 A pack of middle length round white pearl beads. 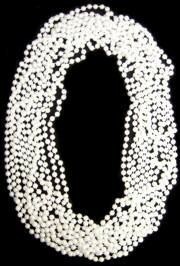 These white beads are popular for Mardi Gras, St. Patrick's Day, and Gasparilla parades. 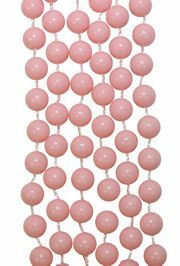 The light pink bead necklace is 42in long. 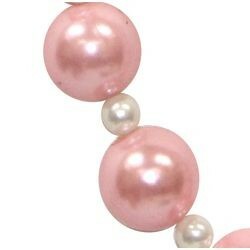 It has 25mm light pink beads with 10mm white pearl spacers. 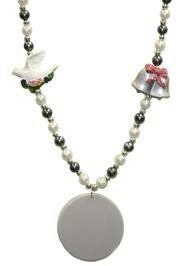 This hand-strung bead is great for all occasions. They're great for Mardi Gras, weddings, and showing support for breast cancer awareness.